Yet another exhilarating IPL auction came to an end on Tuesday. The teams have done their best to fill in the gaps in their squads for the upcoming season. One team that seems to have covered every base is Sunrisers Hyderabad. The Sunrisers have been one of the most consistent sides in the IPL in the last 3 years. In 2016, they won their maiden IPL title under the leadership of David Warner, while they reached the playoffs in 2017. In IPL 2018, they reached the finals only to be defeated by the mighty Chennai Superkings. Even though they had a successful campaign last year, the Sunrisers made big changes in the squad. They let go the experienced Shikhar Dhawan in the IPL trade window, while they released the likes of Carlos Brathwaite, Alex Hales and Wriddhiman Saha. Sunrisers Hyderabad has been shrewd when it comes to bidding for players at the auctions in the past and they continued that trend this year too. The Hyderabad based franchise was quite clear about the players they wanted in their side and spent their purse accordingly. At the end of it all, they look like one of the most balanced sides for IPL 2019. We will look at the strongest XI that SRH can field in IPL 2019. 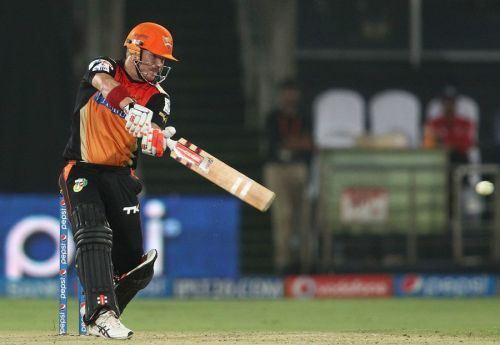 After a year in exile, David Warner will be back in the IPL. The Australian opener has been fantastic for SRH over the years and led them to their first IPL title in 2016. Warner has scored 2579 runs in 59 matches at an outstanding average of 52.63 and a staggering strike-rate of 147.70. Warner missed IPL 2018 because of the ban imposed on him by Cricket Australia but will be available this year. Also, in the absence of Shikhar Dhawan, Sunrisers will be banking on the southpaw for providing attacking starts to the team. In Warner's absence, Martin Guptill can fill in his shoes. 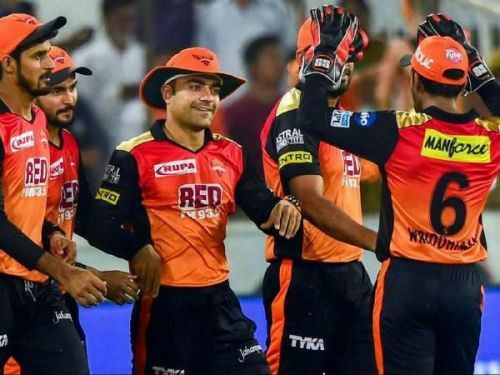 IPL 2019: Sunrisers Hyderabad Predicted Playing XI.